A while ago, I opted to “follow” my own blog to make sure my posts appear in the WordPress Reader. I usually check when running my author interview series, since those take a few weeks (or a few months!) to do, and I want to be sure they get maximum visibility. 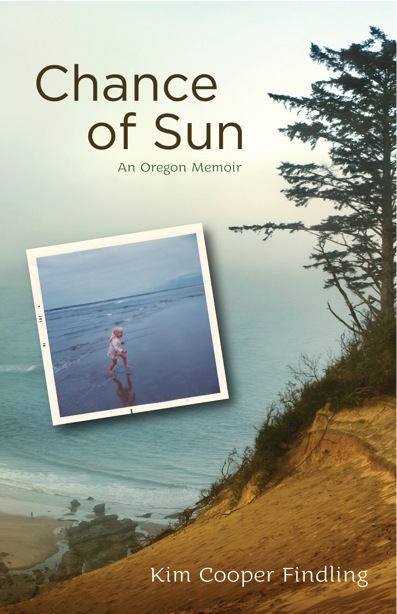 I featured Kim Cooper Findling’s memoir, Chance of Sun, on Monday. I peeked at the Reader on Monday and my interview with Kim Cooper Findling was missing. Whenever that happens, I edit the the post in an invisible way, such as adding a space at the end of a line, and then click update. That often brings my post into view. But this time it didn’t work. I knew about not exceeding 15 combined tags and categories from reading Susie Lindau’s useful post, How to Break Out of Jail and Other Useful Tidbits. That wasn’t the problem. So I opted to start a public community forum question–something I’ve never done. Timethief, a member, answered with an amazing troubleshooting list, which you should bookmark in case you ever run into this issue. That’s why I’m writing this post–to share that wonderful list. Which bestselling debut author will I be featuring in August? If anyone else has tips about posts showing up in the Reader, or experience with your posts not showing up, please share in the comments! This entry was posted in Community, Writing and tagged Reader, WordPress. Bookmark the permalink. Thanks so much for the shout out Laura! I think having too many tags and categories can cause that. Also when WP had the automatic comment follow a lot of people unsubscribed to comments stopped getting the email alert even though it said “following” on the black bar. I “unfollow” and then click “follow” again to make sure they show up in my reader. It is so great that you are getting the info out there! Timethief is the best! Yes, absolutely too many tags and categories can cause that, Susie, but since I never go over 15, that wasn’t my issue. Good tip on the automatic comment follow! HI Laura, I think I must have missed that post–I’ll try this link. Very useful information! I think I have been using too many tags. The 15 is a combined total of tags and categories, Naomi! Glad the post helped. I do see yours show up in my Reader, because that’s primarily how I keep up with the blogs I follow. The happiness engineer told me after a few posts of less than 15, your posts start showing up in the Reader again, so there’s no reason to go way back and erase old tags. WP is a four letter word and then some. They often delete me from comments on other WP blogs, or they have me following myself when I never pressed follow. The worst is that whenever you have an issue with them … customer support is non-existent. Oh, the woes of a blogger !! Oh good news, Florence! I actually was amazed at how fast a community member jumped in to help me and then how fast the WordPress folks fixed my problem when his advice didn’t lead to results. FYI: the posts came through fine via RSS (and email notification). Excellent. I think the problem (when there is one) is with the WordPress internal Reader gizmo, which compiles in date/time order all the posts by all the people you follow. RSS and email don’t seem to be affected. Wow, thanks for the tips. I didn’t know about the magic number 15. I thought I only had to keep tags between 5-10 and I had no idea I had to be careful of categories. I’ll be reading those links you provided. So good of you to include this and the links as a post! The Happiness Engineer helped me once, as well! But now it’s happening again and since I don’t overuse tags, categories, links or anything, I’m not sure what to do…wave a magic wand? Well, guess what. I just did as you said and made a minor edit on the post, and now it’s showing up! Wonders never cease, thank you! I’m so glad that worked, Alarna! Thanks for the tip about adding a space at the end of my post. I did this and the post I’d been missing just showed up in my reader. I’m a wordpress newbie, so “duh” moments are the same as “aha”s right now.